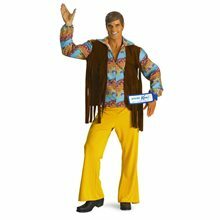 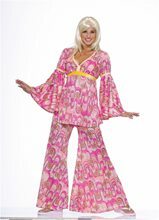 Retro Groove Print 2pc Adult Costume.Includes: Bell sleeved v-neck dress with a full length zipper in back. 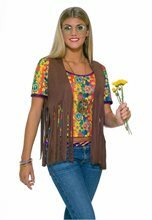 Midriff flower shaped cut-out in front and pink headband.Available Size: Womens - XSmall (0-2), Womens - Small/Medium (4-8), Womens - Medium/Large (10-14), Womens - XLarge (14-16). 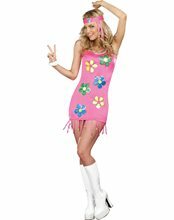 *Boots Not Included.Retro Groove Print 2pc costume includes pink and white bell sleeved v-neck dress with a full length zipper in back, midriff flower shaped cut-out in front and matching pink headband.